Our instrument of the Month is the recorder. 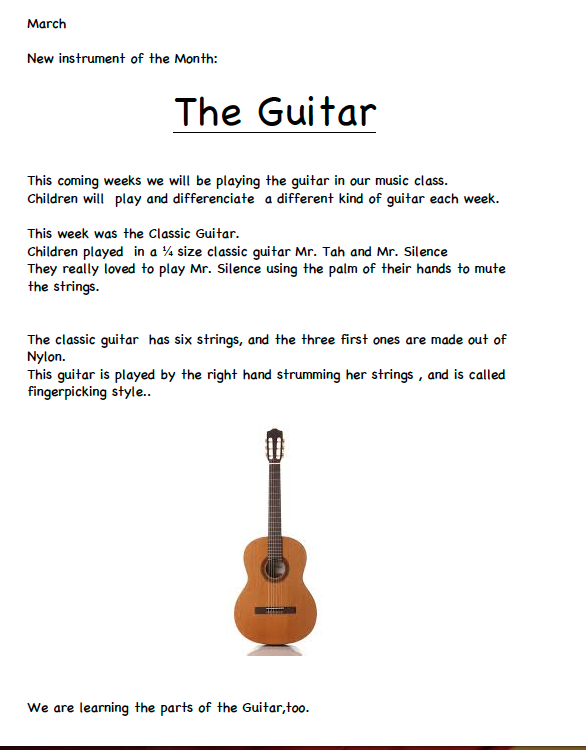 We are using it for practicing Mr. Tah, Mrs. Taah and Mr. Silence and at the same time, we are learning its parts. Very soon, children will be using the nomenclature and making some crafts about it. They love playing recorders recognizing the three parts and putting them together for the practice. In two weeks, I will do the presentation of the family of the recorder. 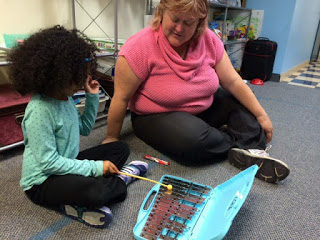 We have been working three notes with the xylophone: Do -mi – sol. 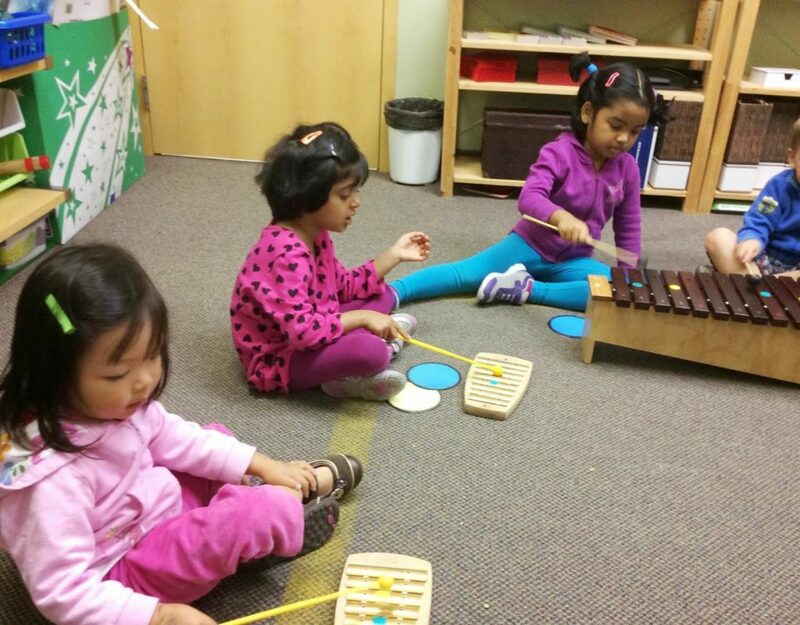 They can practice in their classrooms with the “baby xylophone kit”. 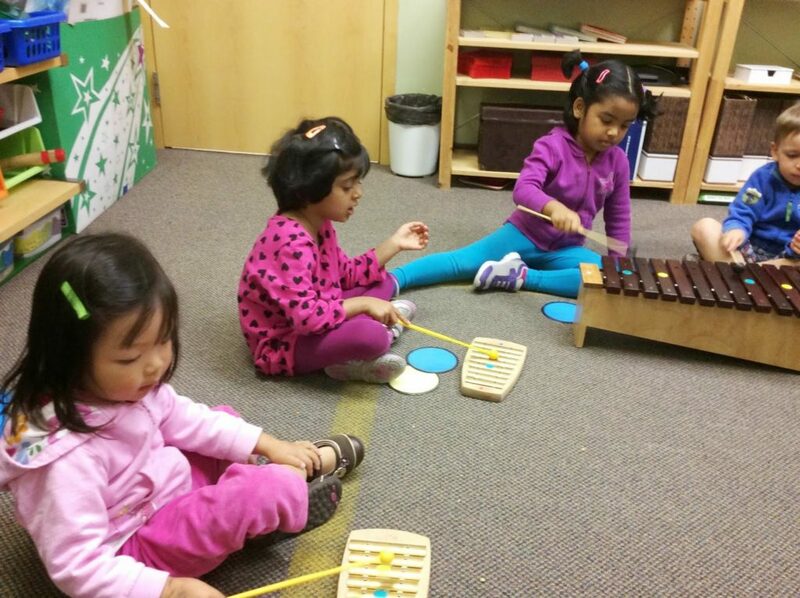 A lot of activities are coming and children will be learning more notes, more rhythms, and we will be having a new Composer of the month very soon.